With ESF La Plagne Montalbert, you will find a wonderful playground that suits your needs. This course is ideal for you to share and discover the miles of mountain terrain of one of the greatest ski area. 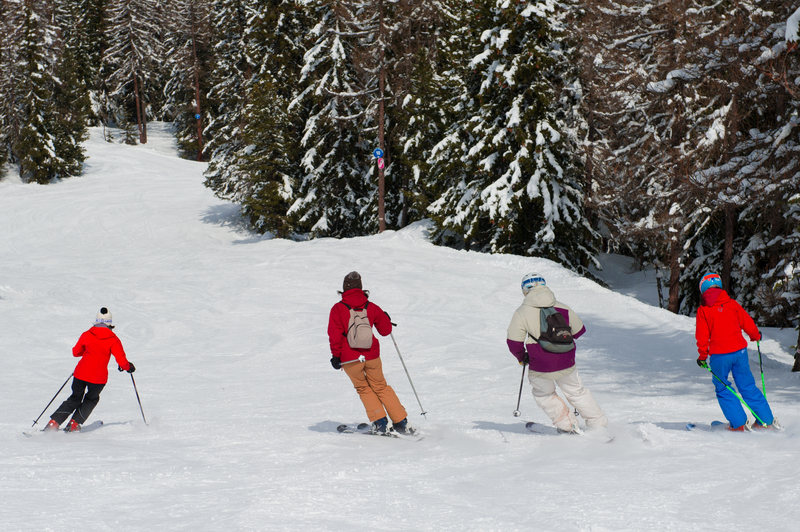 Accessible from the ski lifts with a little walk, this off-piste experience will take you away from the regular slopes. Note: groups are limited to 6/8 people for security and comfort. We provide you with all the security equipment: backpack, ARVA, shovel, probe. We will also teach you how to use the ARVA transceivers and the mountains secrets. We will give you some helpful technical tips and the new larger skis will help you learn more rapidly without being in a state of excessive tiredness for maximum fun. Our day outings or weekly courses are aimed at Class 3 skiers, surfers, and telemarkers (red or black slopes). When setting the outing goals, we take into account the following: weather forecast, high mountain terrain knowledge, technical level and physical condition of the group.